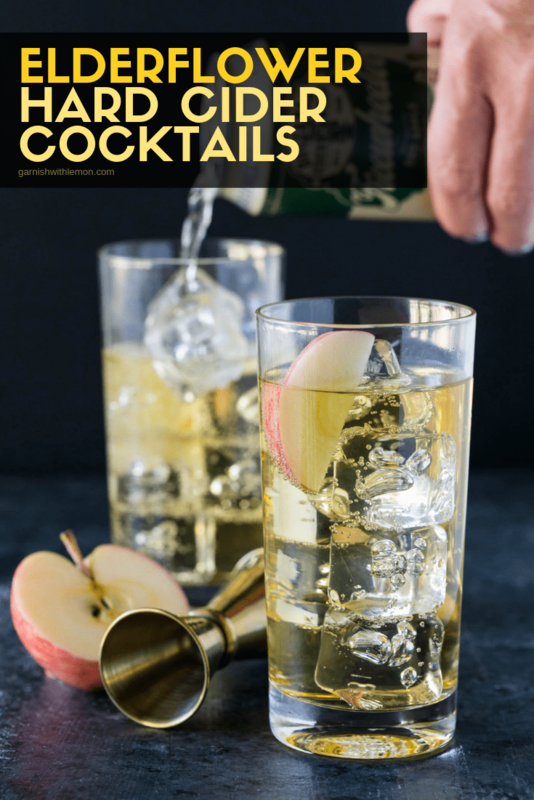 These 2-ingredient Elderflower Hard Cider Cocktails are not only super tasty, they are quick and easy to make – perfect for your next tailgating party! Want to take your tailgating beverage game up a notch from beer or rum and cokes? Check out our recipe for 2-ingredient Elderflower Hard Cider Cocktails! Not only are they uber-refreshing, especially on a steamy game day, they couldn’t be easier to pull together. 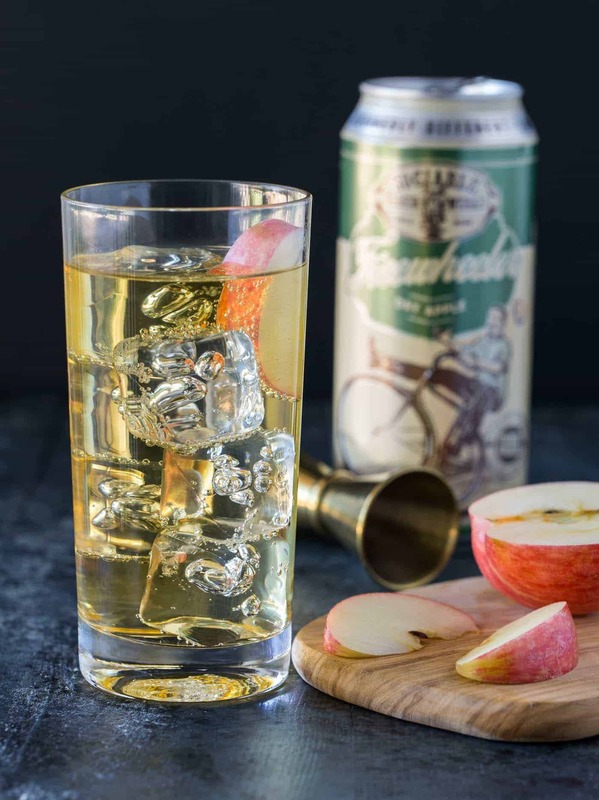 We like to keep our cocktails on the lighter side for tailgating parties (after all, the game could go into overtime), so effervescent hard cider was a no-brainer choice to use as the base of this drink. Adding a fragrant hint of one of our favorite spirits, elderflower liqueur, adds a bright flavor to the cider. Serve over ice for maximum refreshment. Tip: If you’re a hard cider fan, you know that ciders range in sweetness. Choose a dry cider for these Elderflower Hard Cider Cocktails. The potent elderflower liqueur balances the dry cider with the perfect amount of sweetness. 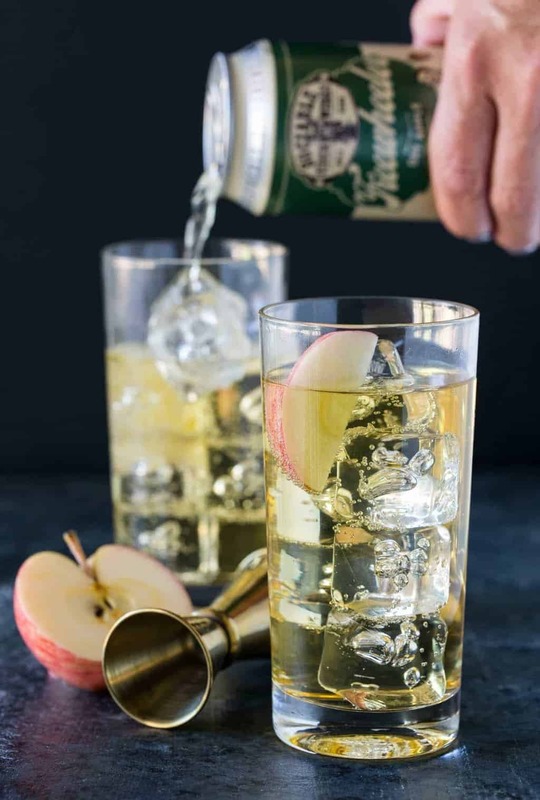 These Elderflower Hard Cider Cocktails are just as easy to make as a batch cocktail as they are individually. Simply multiply the recipe by the number of guests and store in a pitcher or portable beverage jug until game time. Game day beverages don’t get much easier than this! This 2 ingredient cocktail is great for entertaining! Fill two tall glasses with ice. Evenly divide hard cider and elderflower liqueur between glasses. Stir to combine.